Whether you’re a beginner or an avid traveler, I’m here to show you it can be done with a few easy tricks, patience and commitment! There are plenty of hacks out there that can get overwhelming and hard to keep up with. But don’t worry, I’ve put together my tried and tested easy tactics to finding your next travel deal. While some people have everything planned out or a list of dream destinations stored in their phone (I know I’m not the only one! ), catching the best deal requires some flexibility on where you’d like to go and when. That means not travelling during hot dates like school holidays, during big festivals or high season. Whenever you’re considering travel, these five steps can help you on your way to finding the best bang for your buck. Warning - this will be your new secret travel weapon and can be addicting! Step 1 - visit Google Flights using Google Chrome or Firefox (this hack will not work on your mobile phone). Step 2- select the airport you would like to leave from (you can select more than one at a time), I selected Kingston in the example below. Step 3- do not put in any other information yet. 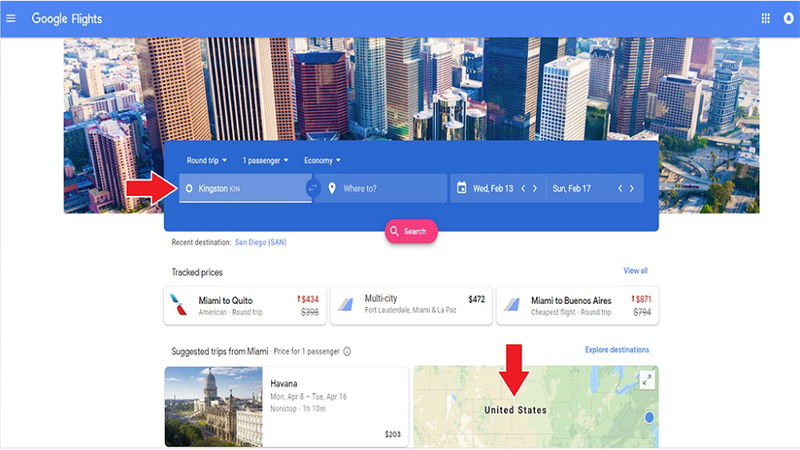 Just click on the map that says “United States”, and prices to travel from Kingston to every city in the world will automatically show up on the map! You can zoom in and out, search by airline or number of stops and see what “great value” deals are available. Checkout Kingston to Miami round trip in February for only US$202. That’s US$101 less than usual! Step 4- select the box that says “1 week trip..” You can choose a 1-2 week trip or a weekend getaway for the next 6 months or a particular month you want to travel. Google Flights will find the best deal for the time period you enter. Remember, the more flexible you are with your dates and destination, the better the deals! Once you select a time frame, click “done” and BOOM! Watch the magic happen. You’ll be able to see flights from your selected airport to anywhere in the world - that means the Caribbean, Africa, Asia and beyond! Google Flights will even tell you how much flights usually are for your dates and when the best time is to travel. Spend some time playing around with all the features to get used to it and remember, this does take practice! See a deal? Click on the little white box listing the city and price to view the airline, stops and dates with prices. I selected New York showing a deal on Spirit Airlines for US$306 in May. To see more flight options, click on “view flights”. 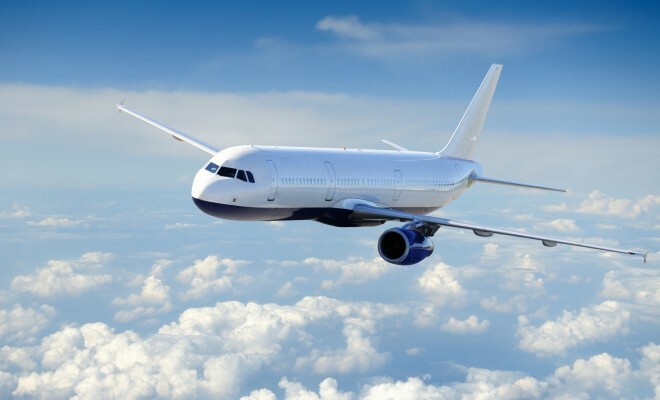 Once you choose your flights, Google Flights will redirect you to the airline website to book. Many airlines allow you to hold your ticket for at least 24 hours if you need some time to decide, but don’t wait too long, these deals don’t last! The calendar feature within Google Flights is a really great tool to help you figure out dates that fit your schedule and still get you a deal. Click on the calendar to see available pricing for up to 6 months! Ensure you are logged into Google (click the login button at the top right to sign in), select a date, turn on the flight tracker and wait for the deals to hit your inbox! Anytime the price changes for your selection, you will be notified via email. I once got a flight for US$300 less just by using this feature! Not interested in becoming a master deal seeker? There are plenty of travel deals available through Groupon.com or online travel agents like TripMasters, who will put together a package deal that will include your flight, accommodations and tours to almost any destination. These deals usually start from a US airport, so you will have to fly there first to take advantage of the offers. Sign up for email alerts with popular deal seekers like Scotts Cheap Flights, The Flight Deal, or booking agents like Expedia or Kayak. This is key to knowing when destinations go on sale! Check your email often, even that annoying promotions folder we all forget about in Gmail, it may have a treasure chest of deals waiting for you! It may be tempting to go ahead and sign up for all of these websites, but I recommend just picking 1 or 2 you can commit to reading every morning. Your inbox can fill up quickly! I hope these tips help you along your way in scoring your next deal, it may take you a while to find something but don’t lose hope. A great deal is out there for everyone!